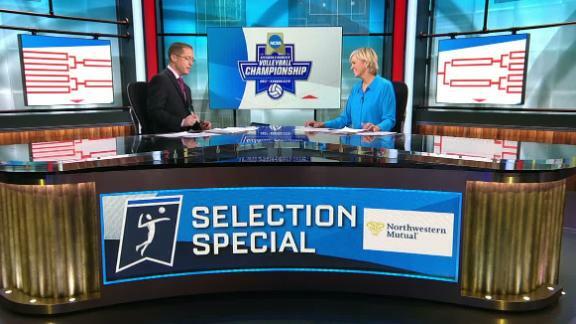 Matt Schick and Nell Fortner break down the NCAA volleyball championship seeds and question if No. 5 Nebraska and No. 6 Texas deserve to be behind Kentucky, which has three losses this season. 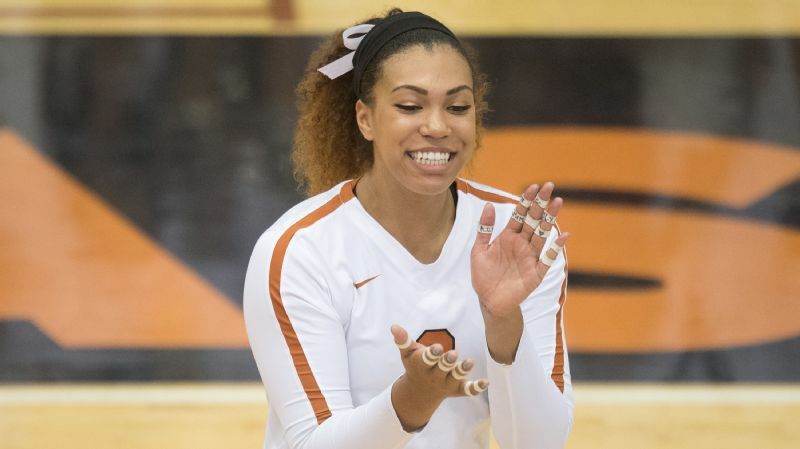 The eyes of Texas may be clouding up a bit from the steam coming out the Longhorns' ears after the NCAA volleyball bracket was revealed Sunday night. Texas is ranked No. 2 in the American Volleyball Coaches Association poll, has two losses (none since Sept. 8), ran the table in the Big 12, yet ended up the No. 6 seed in the NCAA tournament. And, if seeds hold, Texas will have to face No. 3 seed Stanford for a trip to the final four. Last year, the Cardinal beat the Longhorns in the national championship match. If Texas didn't get one of the top four seeds, who did? Big Ten co-champ Penn State is No. 1. Pac-12 champ Stanford is third. But two SEC teams got the other spots: league co-champs No. 2 Florida and No. 4 Kentucky. 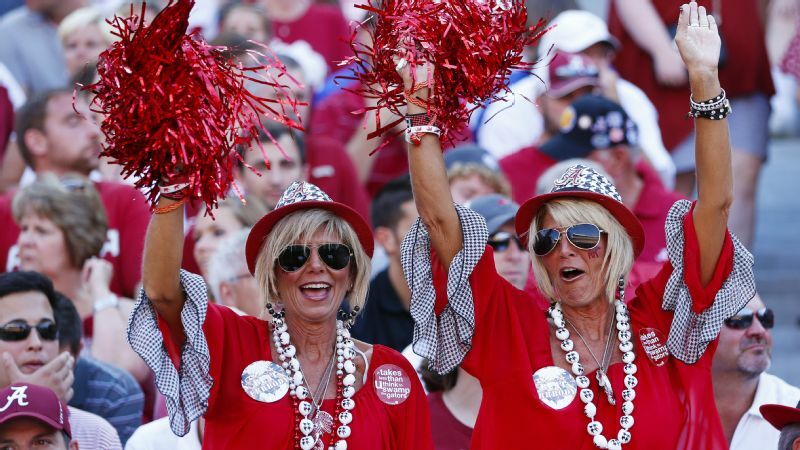 Nebraska, which shared the Big Ten title with the Nittany Lions, is the No. 5 seed. There will be some head-scratching over this bracket, but it basically reflects the NCAA's selection committee's intense devotion to the RPI. That the committee may rely on that too much as the tool to putting together the bracket -- instead of just a tool -- has been a complaint in seasons past. This year's bracket won't alleviate that. A couple of things to remember: The volleyball bracket seeds only the top 16 teams overall, not all 64. Being in the top four is the equivalent of being one of the No. 1 seeds in basketball. Also, volleyball returned last year to top-seeded teams hosting regionals, instead of having four neutral sites for those matches. If seeds were to hold, the regionals would be at Penn State, Florida, Stanford and Kentucky. In short, it's a big deal to be in the top four. Here's a deeper dive into the road to Kansas City, where the final four teams will meet Dec. 14-16 at Sprint Center. How did the SEC get two of the top four seeds? Leah Edmond leads Kentucky, which was awarded the No. 4 seed, in aces, kills and points. The SEC in total has just four teams in the 2017 NCAA field, with Missouri and LSU joining the Gators and Wildcats. Yet two of them are on the top seeding line. The SEC has never had a volleyball champion, although the Gators have been to the final four seven times. Florida and Kentucky tied for the SEC title this year with just one loss in conference play; each lost to the other. That's Florida's only defeat all season, but Kentucky has two non-league losses, to Creighton and Kansas. Kansas, in turn, lost Saturday to West Virginia, a team that didn't make the NCAA field. 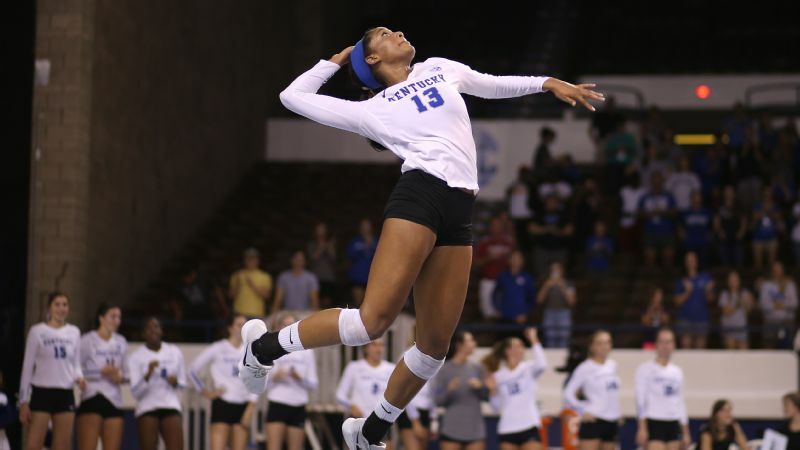 Also, Kentucky has just two victories over teams (USC and Utah) from either of the top two volleyball conferences: the Pac-12 (nine NCAA tournament teams) and Big Ten (eight in the field). So what gives? It's got to be the RPI. 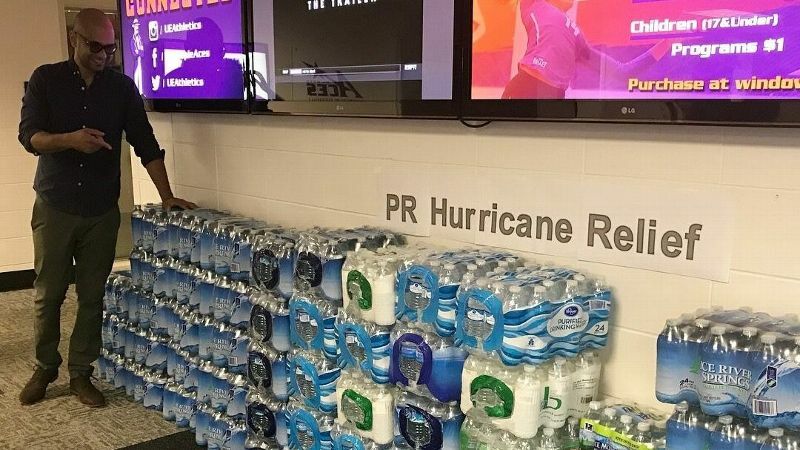 A check of two well-known -- at least to volleyball fans -- online rankings done by longtime observers of the sport also don't have Kentucky anywhere near No. 1. RichKern.com has the Wildcats sixth, like the AVCA, and the Pablo Rankings have them No. 12. Admittedly, there are differences in formulas, and everyone has their own eye test. But, no offense to the Wildcats, Kentucky with such a high seed seems off. That said, can the Wildcats prove that the RPI is right? Sure. They'll start off with East Tennessee State, and with a win would face either Notre Dame or Western Kentucky in the second round. As for Florida, high seeds in the NCAA tournament are pretty much the norm. Coach Mary Wise got her 900th career victory Saturday at Missouri, which also earned her the 23rd SEC title of her career (this one shared with Kentucky). But even after that match, Wise didn't sound like she thought a top-four seed was a sure thing for Florida. "There was period where you could almost pencil in the final four based on the top-four seeds," Wise said. "Now, there is a whole lot more parity. So I don't think it's the given that it once was. But it's so hard to win on another team's home court when the team is of that level. So being the fifth seed would be really rough. But no telling what will happen." After making a run to the title game a year ago, sixth-seeded Texas and Chiaka Ogbogu have just two losses on the season. Remember the last time Stanford played Texas? Silly question. The Cardinal downed the Longhorns in the 2016 national championship. There might be a rematch, but it won't come in Kansas City. 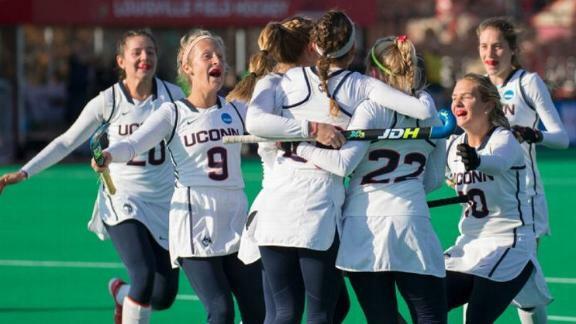 The teams are seeded to meet in the regional final, which would be hosted by Stanford. Talk about a daunting draw for two teams that are conference champions. No. 3 seed Stanford (26-3) won the Pac-12 for the 17th time. No. 6 seed Texas (24-2) captured its 10th Big 12 title. 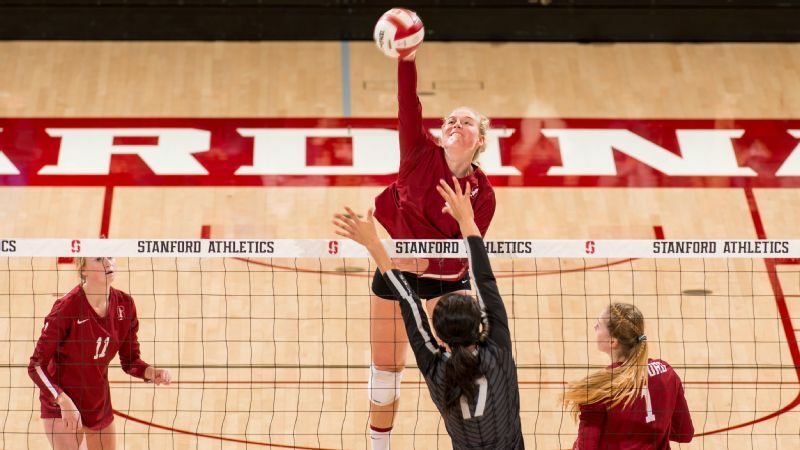 Stanford returned all of its starters except middle blocker Inky Ajanaku. The mix under new coach Kevin Hambly includes powerful outside hitter Kathryn Plummer, gritty libero Morgan Hentz, steady setter Jenna Gray and towering middle blocker Audriana Fitzmorris. 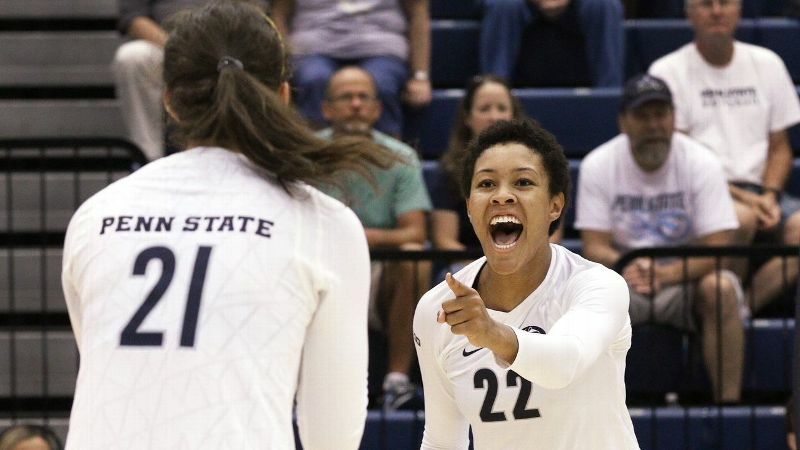 Junior Tami Alade leads the conference in hitting percentage; Plummer is No. 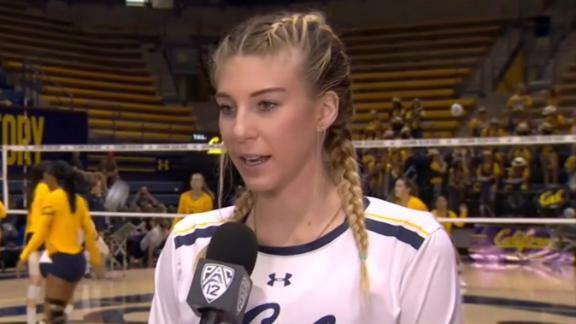 1 in the Pac-12 in points and kills. 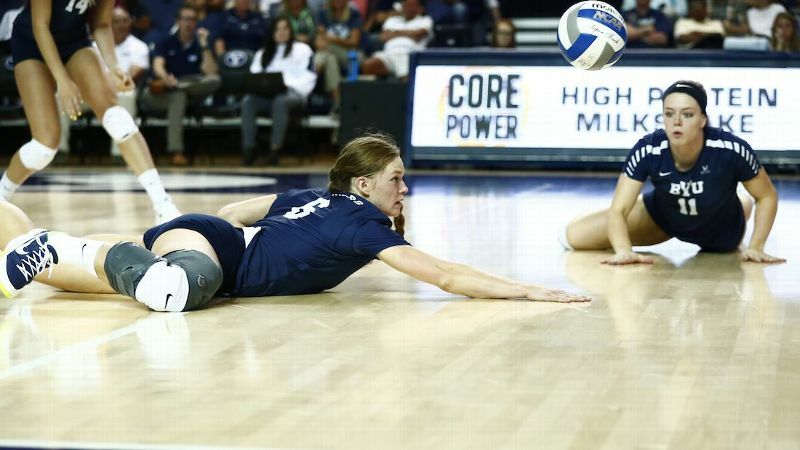 Fitzmorris is the Pac-12's busiest blocker, and Gray is No. 1 in assists. 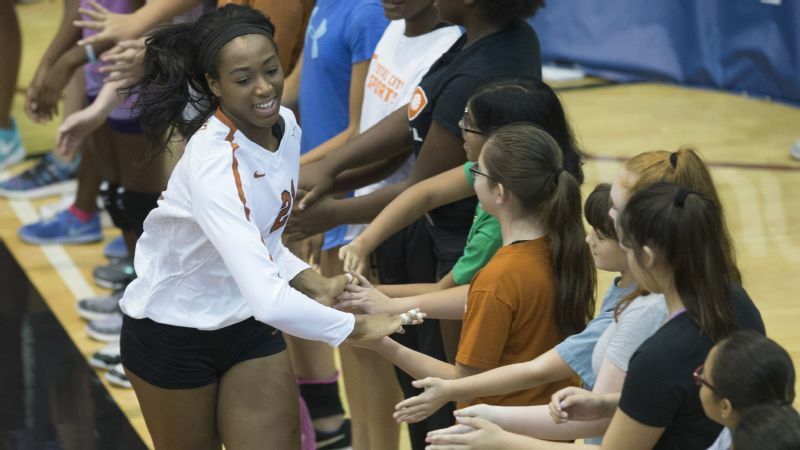 Meanwhile, while the Longhorns returned the nucleus of their team, they added the top recruit in the nation in Lexi Sun and welcomed back Chiaka Ogbogu. The senior outside hitter sat out the 2016 season due to academics. Texas is hungry to win it all for the first time since 2012. The Longhorns have advanced to the past five final fours. Both teams have work to do before a potential rematch. Wisconsin or Iowa State could stand in Stanford's path. Purdue or Utah looms for Texas. If form holds, though, we could be treated to one of the most anticipated regional finals in years. Seven-time national champion Penn State got the No. 1 overall seed in the 2017 NCAA tournament. The Big Ten has won seven of the past 10 NCAA titles, with six going to Penn State and one to Nebraska. Those teams met in the regional semifinals last season in Lincoln, Nebraska, in what became an epic match. The Huskers rallied from two sets down and faced two match points in the third set to win 3-2. Then they beat Washington to advance to the final four, but seemed flat there and were swept by Texas. Losing twins Amber and Kadie Rolfzen, the Huskers were projected to be perhaps not quite as strong this season. Penn State, with most of its team returning led by a strong senior core, was the Big Ten favorite. In fact, both teams have played well and shared the Big Ten title. The Nittany Lions' only loss this season was to Nebraska, 3-0, in their Big Ten opener Sept. 22 at Penn State. The Huskers lost four matches: to Florida and Oregon on the opening weekend in August, an upset to Northern Iowa in September, and their only Big Ten loss, at Wisconsin in October. Penn State enters the NCAA tournament having won 19 matches in a row, Nebraska 13. They are on the same side of the bracket. The Nittany Lions' biggest challenger may be No. 8 Washington, whom they wouldn't face until the regional final. Nebraska's path may include No. 12 Baylor, and then potentially No. 4 Kentucky in the regional final. Bailey Tanner and Washington proved they don't shy away from upsets when they knocked off Stanford earlier this month. Minnesota is seeded No. 7, but would anyone be surprised to see the Gophers in the final four for the third year in a row? Led by one of the best setters in the game in Samantha Seliger-Swenson and Big Ten kills leader, freshman Stephanie Samedy, Minnesota also fields one of the grittiest defenses in the game. The Gophers could face dark horse Northern Iowa in the second round. At their best, the Panthers (26-8) are contenders with the top teams in the nation. They are one of four teams to beat fifth-seeded Nebraska, and they extended fourth-seeded Kentucky to five sets. They also beat Iowa State and USC en route to a runner-up finish to Missouri State in the Missouri Valley Conference. 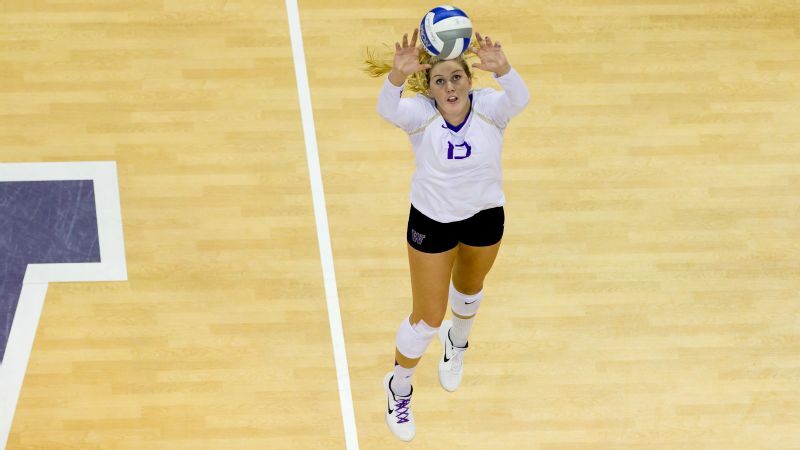 Senior setter Heather Hook is one of four first-team all-MVC selections for UNI. If Creighton (25-6) regains the form it showed during the nonconference season, watch out. The Bluejays swept fourth-seeded Kentucky on Sept. 1, have a pair of wins over Northern Iowa, defeated Washington and swept Kansas and Pitt. The No. 9 seed hosts Coastal Carolina in the first round. No. 8 Washington and No. 15 UCLA are two of the nine Pac-12 teams in the tournament, the most of any league. The Huskies were picked to win the league, but battled inconsistency this season due to an injury-plagued lineup, including setter Bailey Tanner missing time. But Washington (24-7) won six of its final seven, including a four-setter over Stanford on Nov. 8. Seven Husky seniors, including a healthy Tanner, are seeking an emphatic end to their careers. They'd love to return the program to its first final four since 2013. Don't sleep on the Bruins (19-10), who won their last three and fell to Stanford in a 15-13 fifth set on Nov. 16. If UCLA gets past Austin Peay in the first round, a Cal Poly team that is 26-2 awaits. Florida is a potential Sweet 16 matchup. 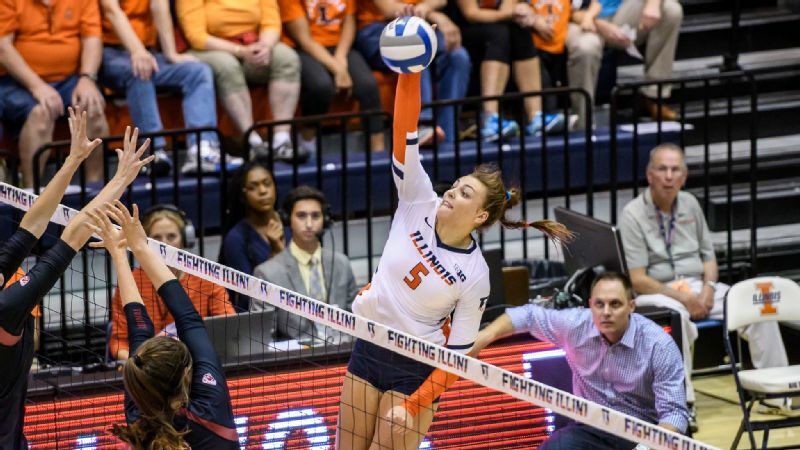 It's a collision of first-year coaches when Ali Bastianelli leads Illinois against Hawaii in the first round. VCU vs. Pitt, first round: VCU's 27-match streak is the longest in the nation; the Rams (30-2) haven't fallen since a 3-1 loss to Notre Dame on Sept. 1 at the Toledo Invitational. Then there's Pitt, which owns a piece of the ACC title for the first time in its history and swept the Irish on Oct. 29. Illinois vs. Hawaii, first round: We weren't sure the Rainbow Wahine, who have been in every field except in 1992, would find a spot in the bracket. But they won their last five to post a 20-7 mark, including 14-2 in the Big West. The Illini (21-10), picked to finish ninth in the Big Ten behind first-year coach Chris Tamas, are led by Ali Bastianelli, fourth in the NCAA in blocks. Missouri vs. Kansas, first round: This will be the 86th meeting between the border rivals, who last squared off in the second round of the NCAA tournament two years ago. That one was a sweep for the Jayhawks, but Mizzou holds the edge in the series 51-34. Creighton vs. Michigan State, second round: The Bluejays were among the stories of the 2016 tournament, advancing to the quarterfinals for the first time in program history. Winners of the Big East title for the fourth straight time, Creighton could face a juggernaut in Michigan State. The Spartans' resume includes road wins at Wisconsin and Minnesota. Wisconsin vs. Iowa State, second round: Middle blocker Dana Rettke, who looms at the net standing 6-foot-8, might be the best freshman in the country. She has a Badgers-best 347 kills, hitting .445. The Cyclones (21-6) have wins over Pitt, Creighton, Wichita State and Kansas, all tournament teams. Utah vs. Purdue, second round: The Utes, whose fourth-place finish in the Pac-12 is its best ever, are led by the program's all-time kills leader, Adora Anae. The Boilermakers also made school history, winning four matches over Top Ten opponents this season. Not to mention that Pac-12-Big Ten collisions are always fun.